Hi everyone! 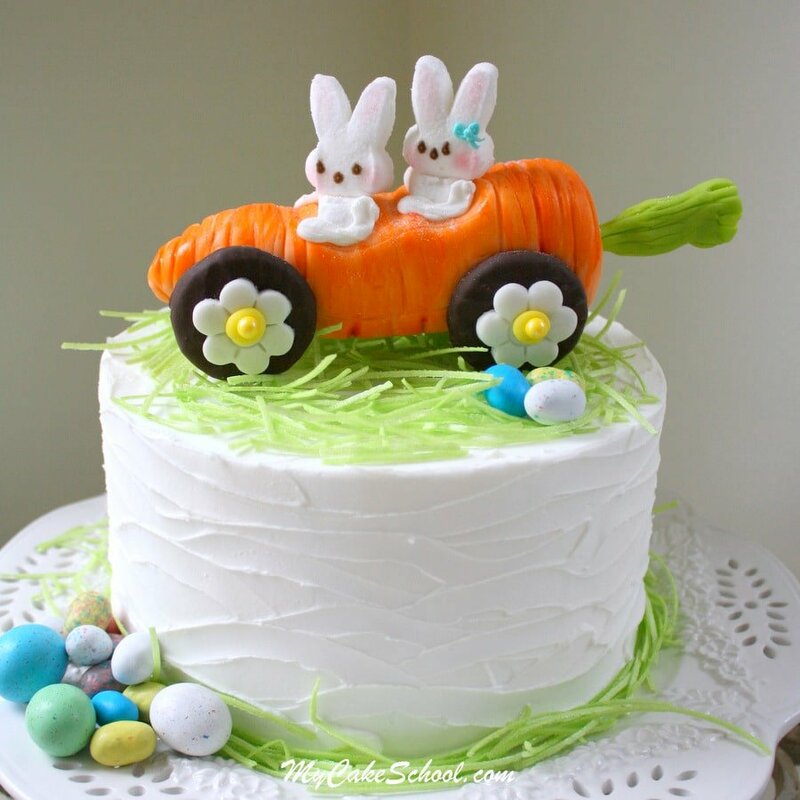 Today’s cake decorating adventure is a fun one for Easter & springtime themes! 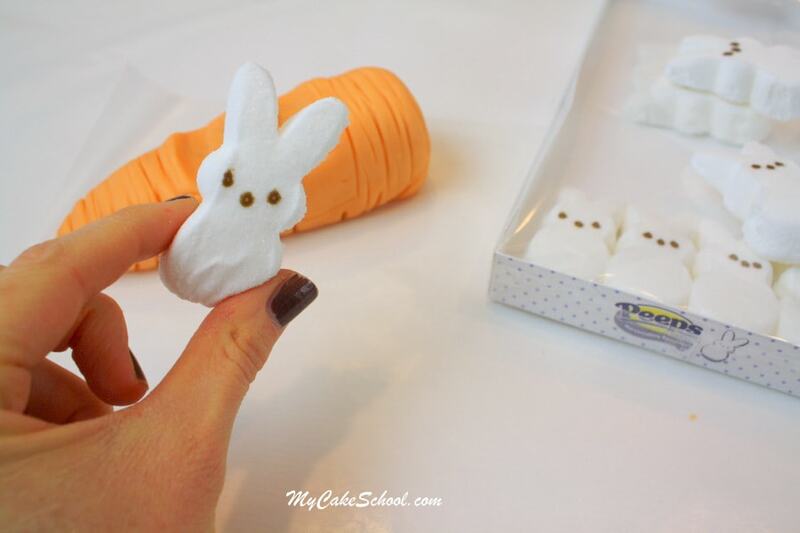 I don’t know how we’ve made it through five Easters of cake tutorials without ever including marshmallow Peeps bunnies! How is that possible? Well, this is the year for our Peeps friends to finally have their moment. 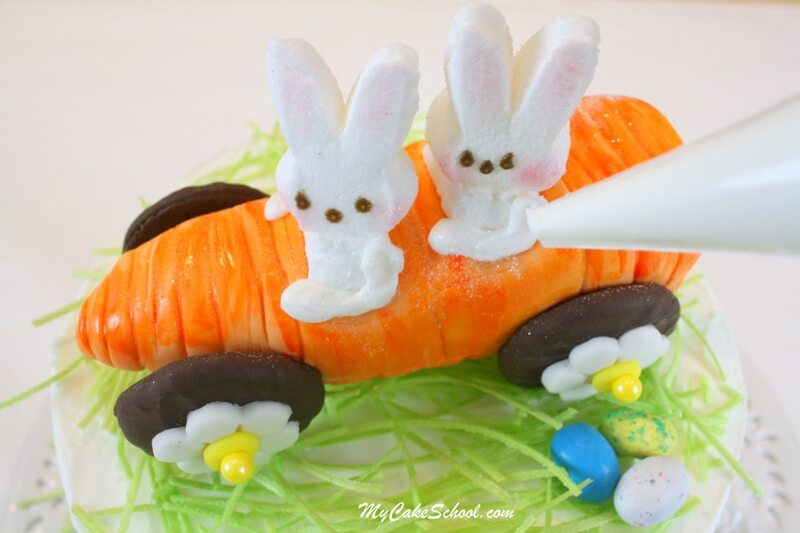 A fabulous carrot car is happening today! 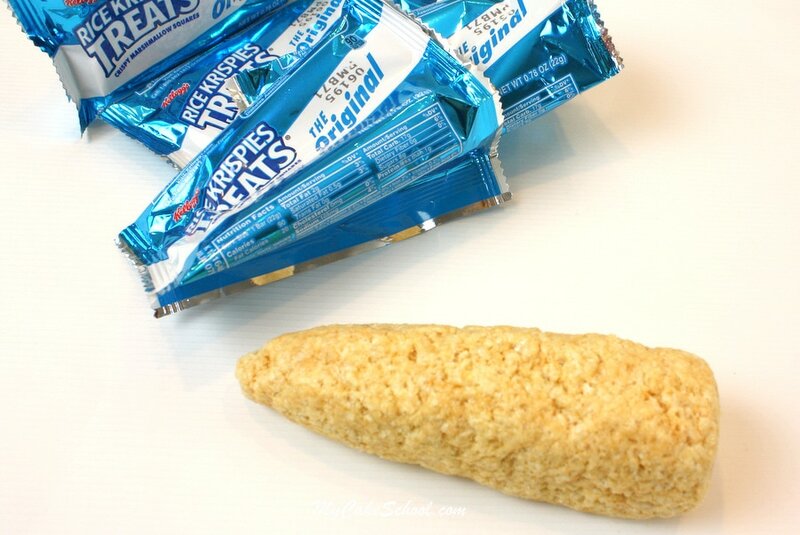 First, we shaped four (22g) rice cereal treats into a carrot shape. Press the cereal treats tightly together so that the shape will be nice and strong. I wouldn’t go larger than a 5.5″-6″ length without adding internal support. Mine was just under 6 inches. 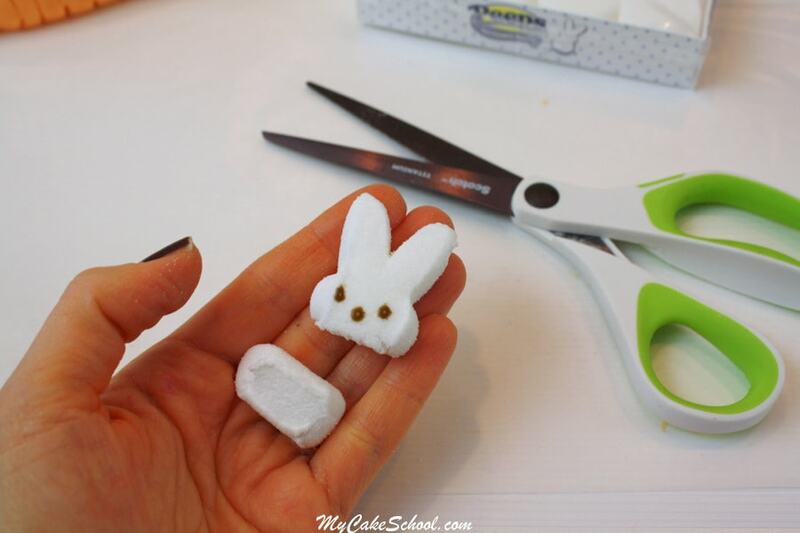 While the fondant is still soft, go ahead and add a few ridges and lines with a toothpick or gum paste tool. 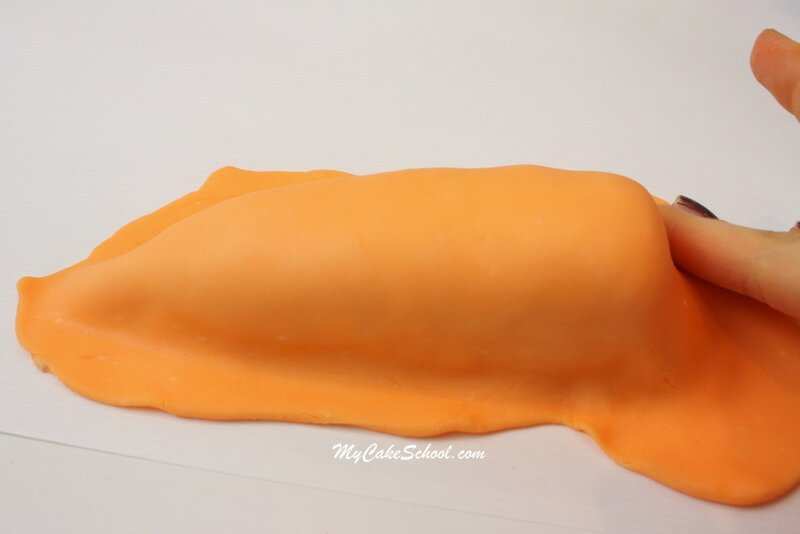 Then, allow the fondant covered carrot to set up a bit. Preferably a few hours so that it can firm up a bit before you mount it to the wheels. Peeps! Here’s our driver. In his natural fresh-from-the-box state, he’s a bit too tall. …so I shortened him! Snip, snip just below the shoulders. I really could have stopped right here, but I got fancy and decided my bunnies would have their heads turned. Aren’t they cute?! I am a bit obsessed with my creatures having rosy cheeks. So, these bunnies received the blush treatment with my pink petal dust (dry brush). I dusted their ears with a little pink too because I couldn’t help myself! 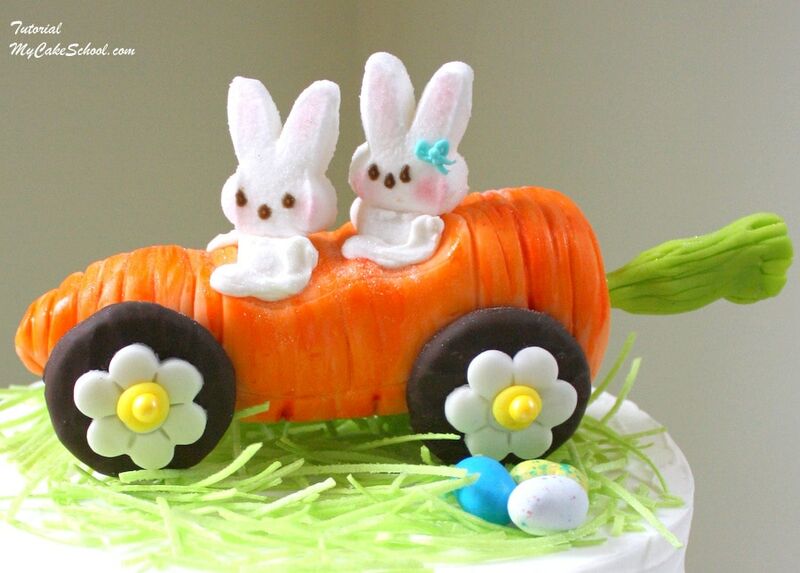 When it comes to the carrot car’s wheels, there is more than one way to go about this. 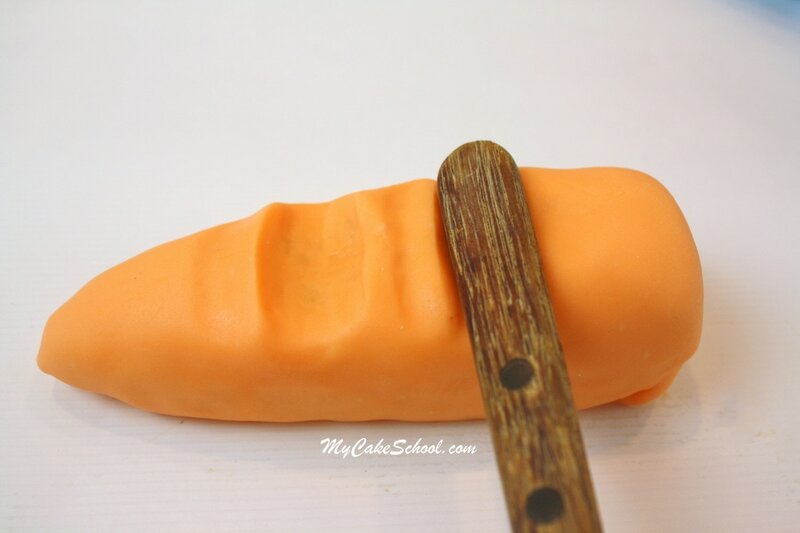 You could simply attach wheels to the sides of the carrot…or you could use a few narrow pieces of cake board or foam core to raise the carrot & then attach wheels… but I went with option 3. 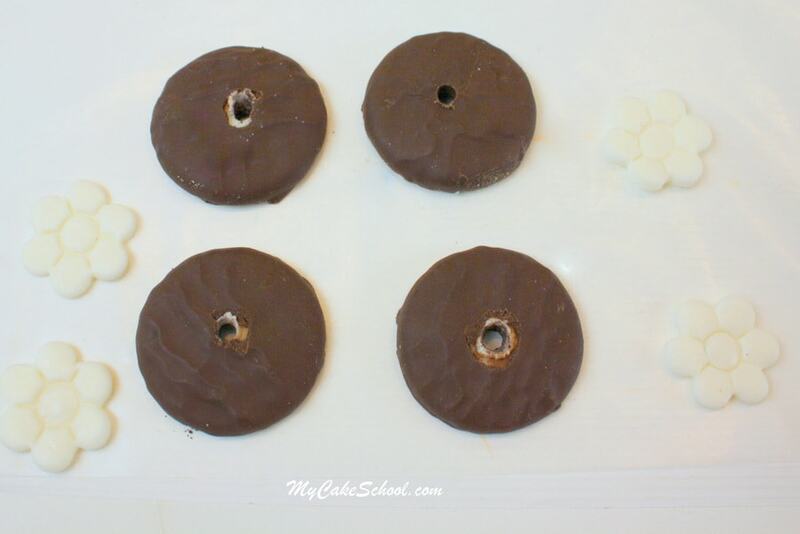 I punched holes through the centers of 4 chocolate cookies, then threaded them together with shortened lollipop sticks. I also cut out 4 fondant daisies just for decoration. Now it’s just a matter of laying the carrot between the wheels. 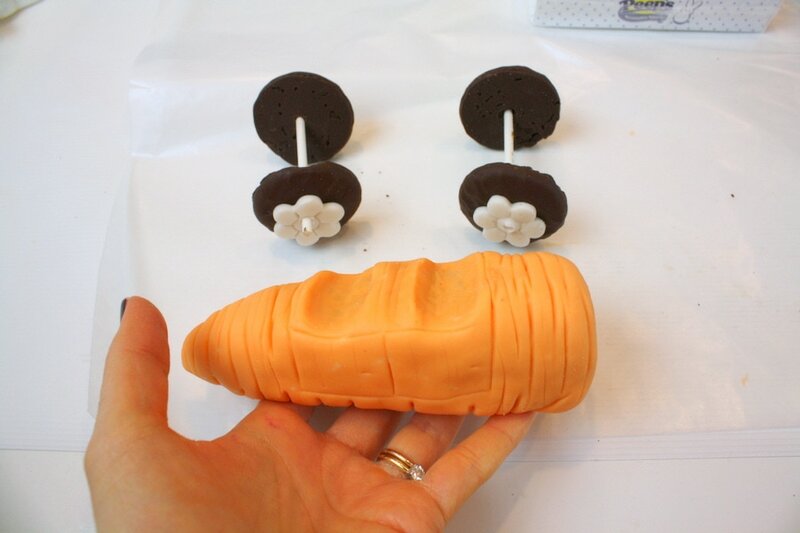 Once in place, I attached each of the wheels to the carrot with a tiny ball of lightly dampened fondant just for extra support. 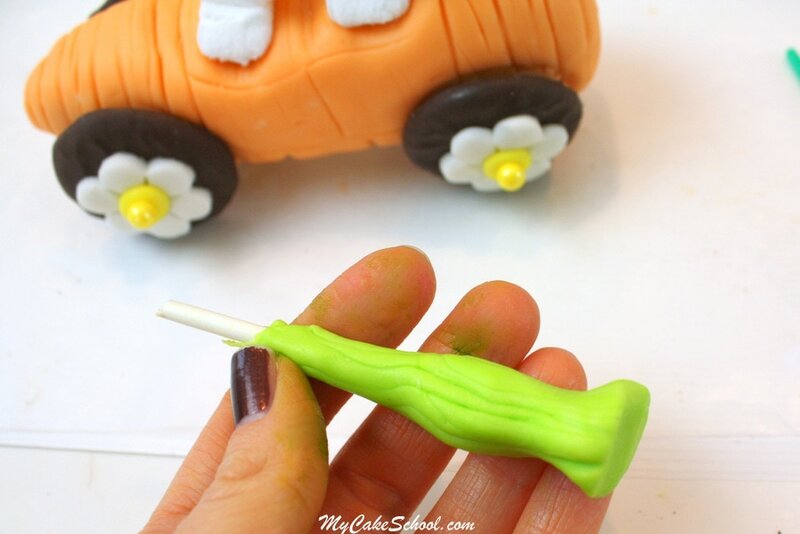 I gave our carrot a stem by wrapping green fondant around a shortened lollipop stick & pushed it into the back. I also added a little color to the center of the wheels with yellow fondant accented with yellow sugar pearls. As a completely optional step, I added some color variation to the carrot with “paint” of coloring gel mixed with a small amount of vodka. 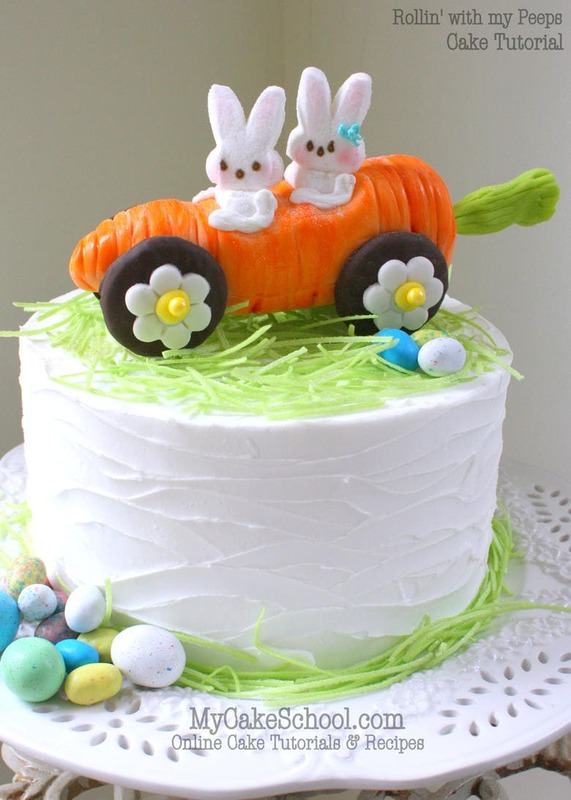 Since the topper does have a little weight to it, I would either add this to your cake close to the time of the event, OR add a drinking straw (cut down to the height of the cake) beneath each wheel. 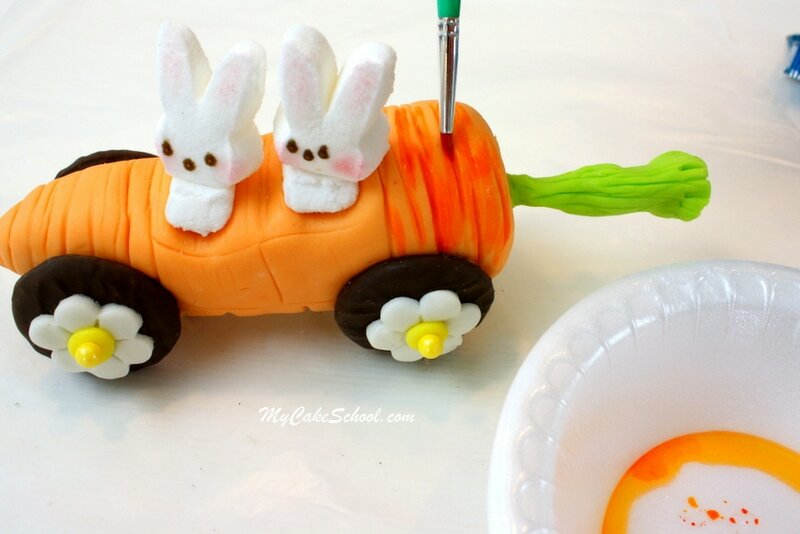 We hope that you enjoyed our sweet little carrot car tutorial! I think our Peeps are very happy with their newfound freedom. 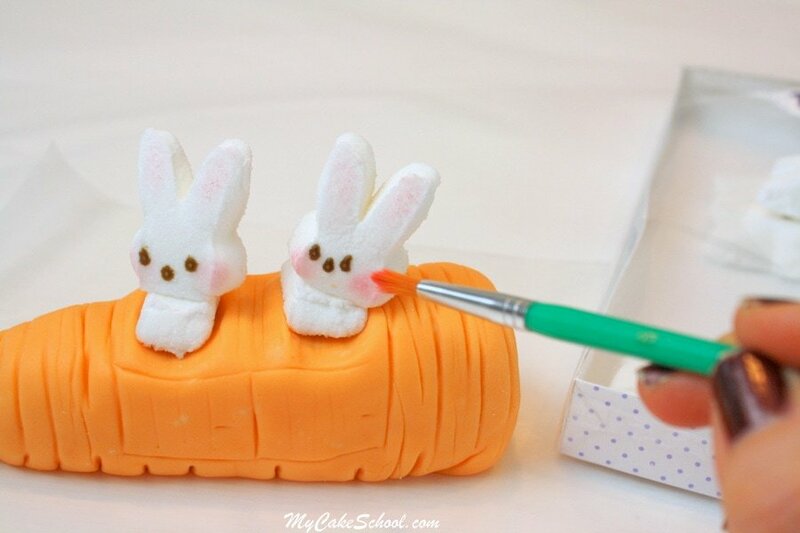 I’m making this cake for Easter, but couldn’t find white Peeps bunnies anywhere. 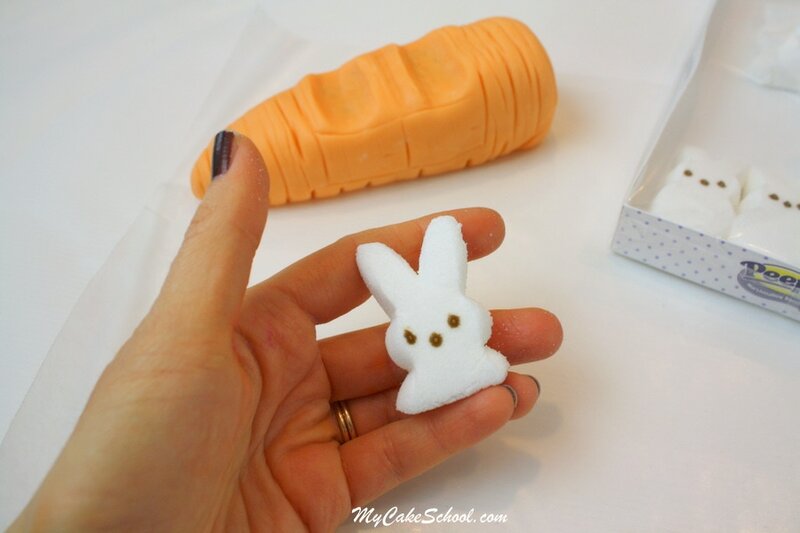 I guess I’ll have to make some – what should I use, gum paste or fondant? Any suggestions on a “pattern” I could use? Made the cake and received tons of compliments. Thank you!! Hi Sonia, Wonderful!! Your cake looks terrific!! Thanks so much for posting your picture! !